Two needle sizes down should help, right? I have wanted this hat for so long- now that I can do the edge, I have to make it work! 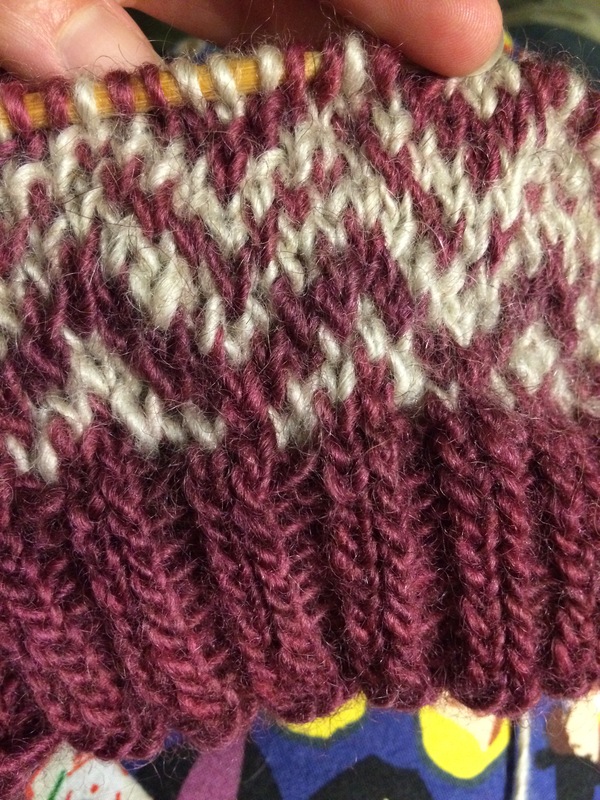 Today I started another colorwork hat, and it’s going well. These are two kind of “wild card” yarns, because they’re both hand spun from a small flock of sheep in southern Oregon, and they tend to be thick/thin in places. So I wasn’t sure if they’d be great for colorwork, but they’re coming out fine. 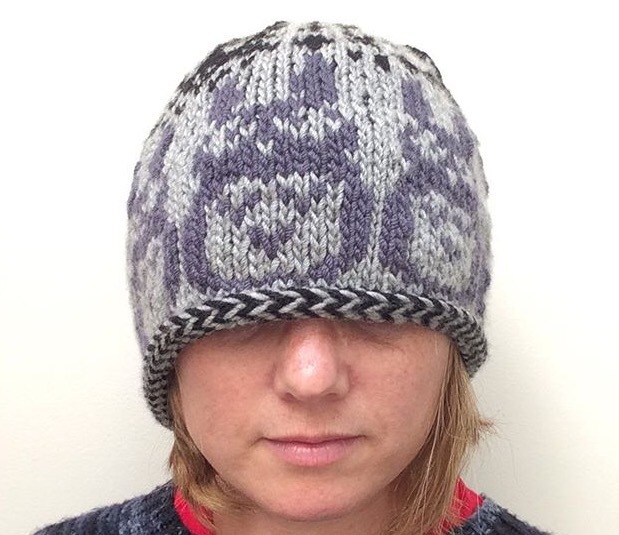 I think this will make a nice, warm hat, which I need for this Northern California summer…. Cute! To-to-roooooo! I am all about color knitting but since I changed the way I knit, I have yet to try Portuguese two handed knitting.